From Durban follow the coast north to Hluhluwe-iMfolozi Game Reserve (150 miles, approx 3 hours). One of the oldest parks in Africa, Hluhluwe-iMfolozi is especially renowned for its population of southern white rhinoceros. Check into your lodge and, time permitting, spend the rest of the day with your ranger guide tracking the park’s rhinos, the Big Five, cheetah, and occasional wild dog. After breakfast check out and make the short drive (30 miles, approx 1 hour) to Phinda Game Reserve. Widely considered the region’s best reserve, Phinda is home to all Big Five, plenty of cheetah, and some excellent and rather upmarket lodges. Recommended is Phinda Forest Lodge, an iconic and world-famous retreat. There are no self-drive safaris permitted here, but you’ll have plenty of guided game drives, walking safaris and other game viewing with your lodge’s ranger guides. Spend the afternoon game viewing with your guides and a pleasant evening under the stars. Don’t pass up the opportunity of a night game drive if one is available. Enjoy back-to-back morning and afternoon game viewing. Most lodges here offer walking safaris and specialist photo and birding safaris. Drive through the vast iSimangaliso Wetland Park towards the Maputuland coast, near the border with Mozambique and Swaziland. This is a stunning and unspoiled stretch of sandy coastline with a number of excellent places to stay. Recommended is Thonga Beach Lodge, with snorkelling, scuba, kayaking and birding. From here it’s a 235-mile (approx 5 hours) drive following the coast south back to Durban. From Johannesburg drive northwest to Pilanesberg National Park (130 miles, approx 2 hours). Located on the remains of an ancient volcano, Pilanesberg is a fully fenced national park. The park is home to all the Big Five with a good range of accommodation to suit most budgets. Pilanesberg is a small and well-developed park. It’s easy to get around with a good chance of spotting all the Big Five. The park is also home to wild dog populations and about 350 species of birds. From Pilanesberg continue northwest to Madikwe Game Reserve on the border with Botswana (100 miles, approx 3 hours). There are no self-drive safaris permitted in Madikwe, but you’ll have plenty of guided game drives, walking safaris and other game viewing with your lodge’s ranger guides. Spend the day exploring Madikwe, established on reclaimed farmland and home to all the Big Five, particularly rhinos along with brown hyena and plenty of great bird spotting. From Madikwe take either the federal air shuttle (approx 3.5 hours via Jo’burg) or the gruelling 450-mile drive to Timbavati Game Reserve, which shares unfenced borders with the famous Kruger National Park and Sabi Sands. Timbavati is home to all the showstoppers, including the Big Five, but is especially known for its unique and rarely-spotted white lion. The reserve has a number of excellent lodges with top quality rangers. Recommended are Kapama Southern Camp and Kings Camp. Spend two days on safari in the peerless Timbavati. The park’s lodges offer night game drives and bush walks, along with specialist birding and photo safaris. Timbavati is well served by shuttle flights back to Johannesburg from the nearby Hoedspruit airport, or a drive of four to five hours. From Johannesburg drive east to Nelspruit (210 miles, approx 3.5 hours), the gateway to Kruger National Park. 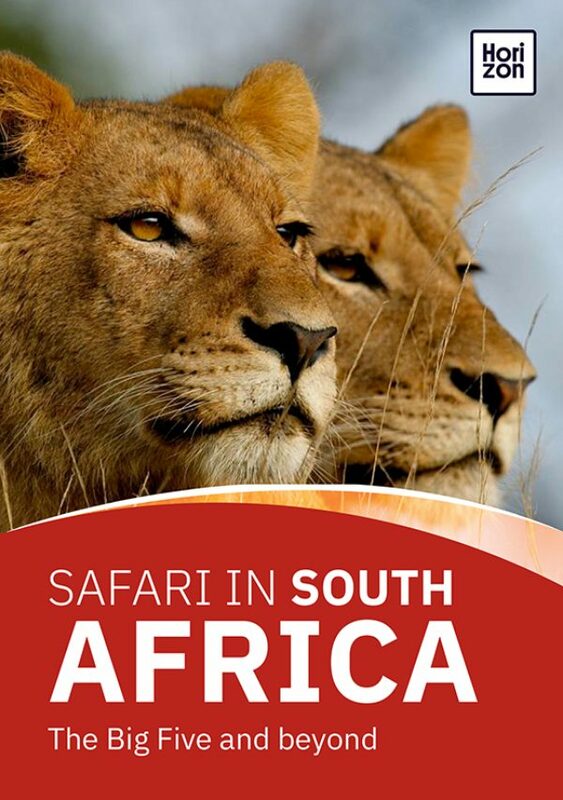 There are decent places to stay and a few points of interest in the city itself, alternatively stay overnight outside of town for easier access to the game reserve the following morning. Driving the Panorama Route is one of those “journey-as-important-as-the-destination” things. The breathtaking scenery includes the Blyde River Canyon, God’s Window, Pinnacle Rock, the Three Rondawels, Bourke’s Luck potholes and many waterfalls, villages and cultural attractions. Follow the route towards Thornybush Game Reserve, a private reserve that shares an unfenced border with Kruger National Park, meaning excellent game viewing with first-rate lodges and tented camps. Spend a full day on safari in Thornybush with your ranger guides. The reserve is home to all the Big Five, plus spotted hyena, cheetah, hippo, and, more rarely, wild dogs. It’s a family-friendly reserve, with day and night game drives and a good year-round climate. From Thornybush drive the 55 miles (approx 2 hours) to Manyeleti Game Reserve, heading deeper into the Kruger ecosystem. Manyeleti was the only reserve open to black people during the apartheid era, but of course today it welcomes everyone. Manyeleti has a good range of accommodation to suit all budgets, but highly recommended is Honeyguide Mantobeni Tented Camp. Hunting is prohibited in the unspoiled Manyeleti reserve, making this prime wildlife spotting territory with plenty of birdlife in addition to all the Big Five. Camps will offer two game drives per day, between which you can try your hand at footprint tracking, visit a local community, or just relax at the pool. From Manyeleti drive a winding 35 miles (approx 2 hours) to Sabi Sands Game Reserve, one of the most exclusive and prestigious safari destinations in Africa. Sharing a 30-mile unfenced border with Kruger, Sabi Sands combines superb, if pricey, accommodation with unparalleled game viewing. There are plenty of lodges to choose from, recommended is Sabi Sabi Bush Lodge. Spend the day in small and intimate groups with world-class ranger guides on epic game drives tracking down Sabi Sands’ abundant Big Five, plus its population of rare and endangered wild dogs. The wildlife is well habituated and the accommodations are exclusive, meaning more often than not you’ll have the game all to yourself. Enjoy - safari doesn’t get much better than this. It’s a hefty 280-mile drive (approx 6 hours) from Sabi Sands back to Johannesburg. Roadtripping types might enjoy the journey, those in a rush to make their onward connection might prefer the 2.5-hour shuttle flight. Conveniently, rental cars can be dropped off at Hoedspruit airport and a regular scheduled flight taken back to Johannesburg.